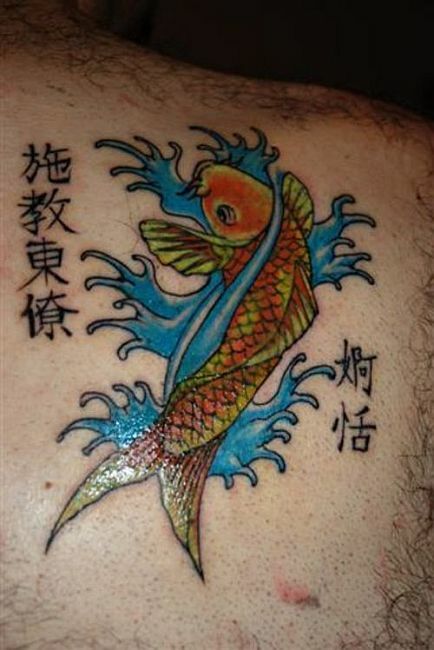 I have seen my fair share of Koi tattoos on the blogosphere. But this has got to be the worst ink I have seen by far. I mean what happened to this fish; did it swim up to a dirty stream polluted by nuclear/chemical waste or something? It really does look mutated to me! Perhaps there are some words of wisdom in that Japanese or Chinese script inked next to it that can redeem this really sucky tattoo.